Showing 11 articles from January 6, 2014. South Bend’s Miles Davis is mauled as he pushes up a shot under the bucket at the Pearson Holiday Classic tournament at Valley last weekend. South Bend won the bout with Pe Ell in a white-knuckle finish where the lead went back-and-forth several times. South Bend’s Miles Davis is mauled as he pushes up a shot under the bucket at the Pearson Holiday Classic tournament at Valley last weekend. South Bend won the bout with Pe Ell in a white-knuckle finish where the lead went back-and-forth several times in the last 45 seconds of the game. The Indians won 52-49. With a 2-1 approval for the 2014 electrical budget at the last Pacific County PUD commissioners meeting, a project that has been under development for 15 plus years, looks like it might finally get to the point of Pacific County providing power to the last of its residents that are under the Grays Harbor PUD wing. The regular Raymond City Council meeting held on Dec. 16 opened with normal fanfare as the business of conducting city business went straight into action. With little to initially report and the adoption of previous minutes, the council opened the floor for public comment not covered by the published agenda. Superior Court cases include burglary, meth, etc. SOUTH BEND – Superior Court included cases of burglary, dangerous firearm possession, assaults, unlawful narcotics use, and the much abused meth cases. Montesano spoiled Raymond’s opening night at its own tournament, the New Year’s Classic, Friday night at Seagull Gym, with a 50-41 defeat of the Gulls. 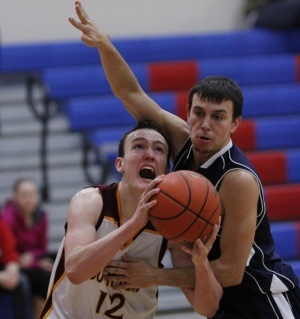 Montesano mashed host Raymond 63-21 at the New Year’s Classic at Seagull Gym Friday night. 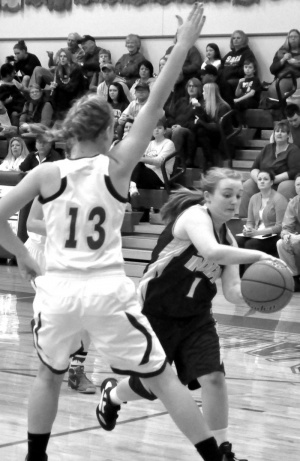 The Lady Bulldogs blew out the Lady Seagulls in the first quarter 23-5. Willapa Valley crushed Concrete 62-16 at the Jack Q. Pearson Holiday Classic at Tenoski Gym in Menlo Friday night. 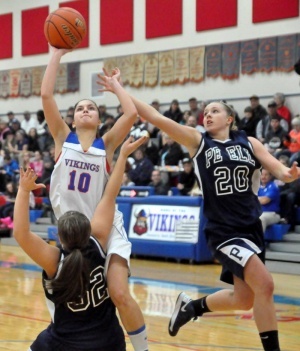 Karli Friese turned in another big night for the Vikings with 13 points and 6 steals. Ocosta defeated visiting South Bend 75-61 on Dec. 21 at Westport. Austin Lewis tallied 20 points for the Indians, who dropped to 1-6 on the season. Photo by Steve Rogers South Bend HS senior Sierra Cearns passes around a Concrete defender during a non-league win over the Lions in last week’s action at Menlo. South Bend High School awarded its fall athletes at a banquet recently. Willapa Valley played without its best played and still destroyed Concrete 51-26 last Friday night in the Jack Q. Pearson Holiday Classic in Menlo.